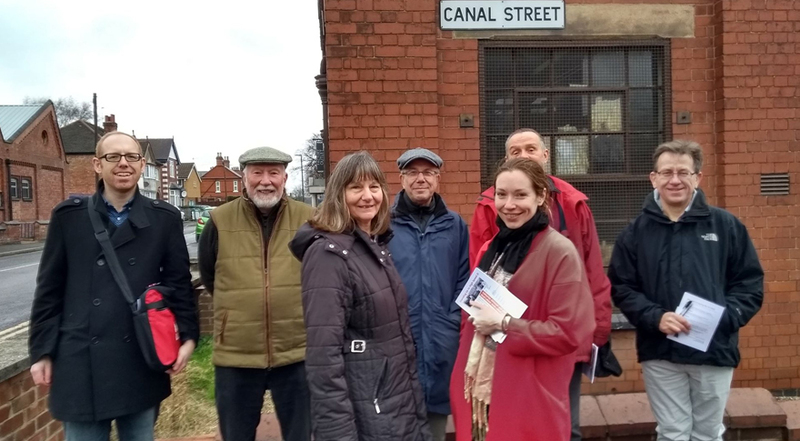 Labour party activists joined local councillors, Howard and Margaret Griffiths, and prospective parliamentary candidate Catherine Atkinson speaking to residents in Wellington Street and the surrounding area yesterday. All three candidates are well known in the area because of all their hard work over the years. 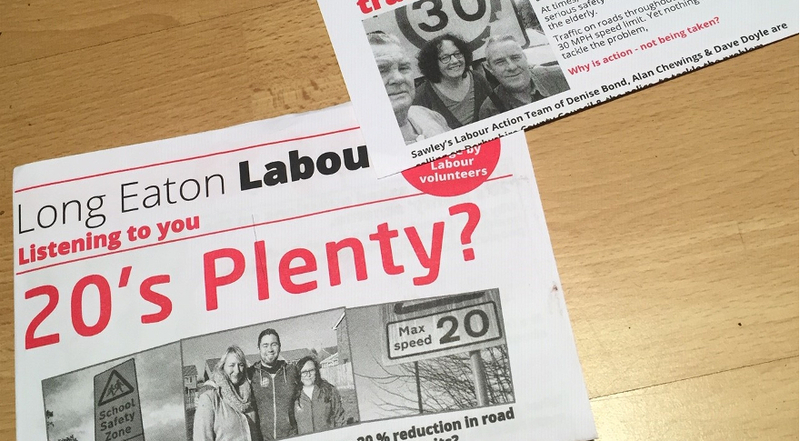 Today they were assuring residents of their opposition to High Speed 2 and explaining why they object to the scheme. They had met with residents during the consultation before Christmas and help spread awareness so people could register their views formally. The government’s response to the consultation will be available soon. 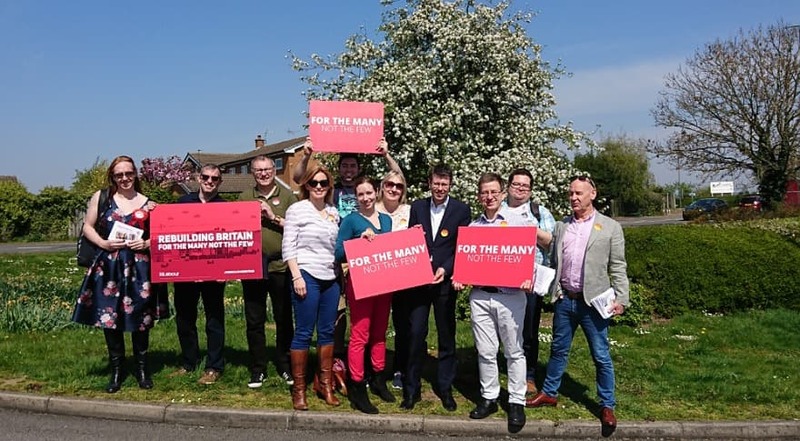 Following the morning’s activity, local activists joined Labour’s candidate for Derby Road West, Andy Coles, and Parliamentary candidate Catherine Atkinson talking to residents on Springfield Avenue and neighbouring streets. It was clear from talking to people that residents feel let down by the Tory Government and Borough Council and are ready for change. As well as issues with East Midlands Homes, residents expressed their outrage at the unprecedented homelessness problems and reliance on food banks that have arisen in Long Eaton over the last few years.